Dewey Beach is an incorporated coastal town in eastern Sussex County, Delaware, United States. Dewey Beach lies on a small strip of land between the Atlantic Ocean and Rehoboth Bay and is about one mile long and two blocks wide. 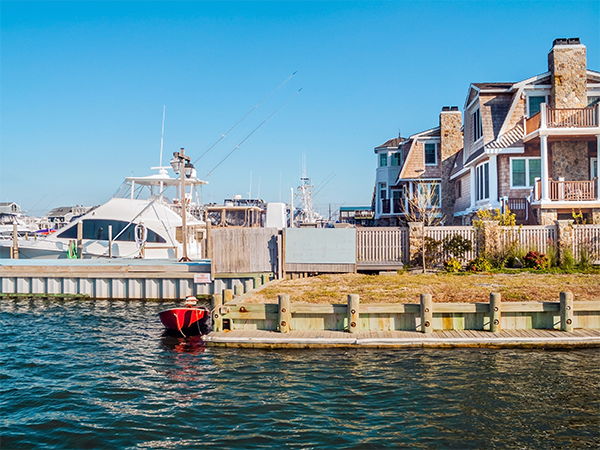 While it has a reputation as a magnet for partygoers in the summer months, Dewey Beach is also a popular family resort spot, particularly because of its wide, sandy beaches, and many hotels, cottages, and condominiums may be found. The Jolly Trolley is a private shuttle service that provides frequent transport in Dewey Beach and to neighboring Rehoboth Beach. The service operates daily through the summer tourist season between Memorial Day weekend and Labor Day and on weekends in the shoulder season before Memorial Day and after Labor Day.